In the modern poultry farming industry, some of the reasons for the frequent occurrence of chicken disease are mainly the poor husbandry and management skills for poultry farmers farmers, and they have no concept of disease prevention. 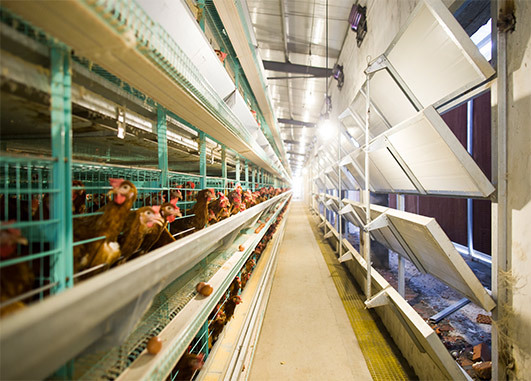 In addition, some of them are now using various types of automated poultry battery cage of raising equipment to raise egg laying chickens and broilers. Thus, some farmers want to low down the investment of poultry farm, the egg laying chickens or broilers would have high stocking densities. Once poorly managed, the incidence of disease will increase. 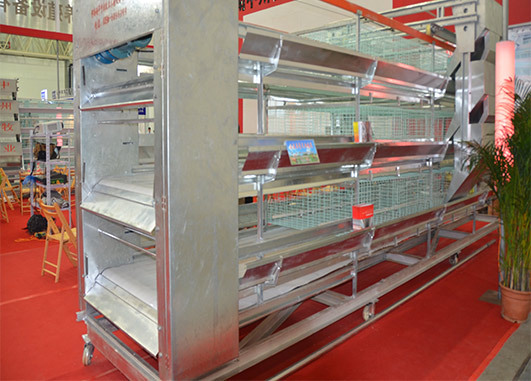 There are some main points for poultry farmers to prevent chickens diseases when using our poultry manufacturer’s chicken layer chicken cages for sale or broiler rearing cage. Some poultry farmers are mainly over self-confident under the circumstances of purchasing a complete poultry farm equipment when facing the raising chickens. However, It is not said that owned a whole set of chicken raising equipment that you will get a good future of your poultry farming. You should set up the standardization of poultry farm construction. The emergence of chicken-raising equipment The farmers should vigorously develop large-scale chicken breeding, strengthen standardization, create good feeding conditions, and establish a scientific feeding model based on the reduction of disease factors as much as possible. Strengthen the farm automation management mode. In addition to the main points of selecting high-quality chicks for farms, strengthening scientific feeding and management, and establishing a sound system of disease prevention and disinfection, farmers should also pay attention to the skilled use of poultry farm equipment for sale and reasonable maintenance. Therefore, farmers should try to find some well-known high-quality, good-faith, high-quality poultry farm manufacturers with production licenses when selecting automated poultry breeding equipment. We believe that through scientific and rational feeding and management, the chickens will be better cultured and the chickens will be more productive, so that the farmers can obtain better benefits. I savour, result in I discovered exactly what I was having a look for.I savour, result in I discovered exactly what I was having a look for. It’s really a nice and helpful piece of information. I’m glad that you just shared this helpful information with us. Please stay us up to date like this. Thank you for sharing.It’s really a nice and helpful piece of information. I’m glad that you just shared this helpful information with us. Please stay us up to date like this. Thank you for sharing.